Are you looking to grow your small business this year? You know to scale, you've got to be organized. It's time to get your to-do lists, marketing strategies and client accountability check-ins off paper, out of email and into an organized system. 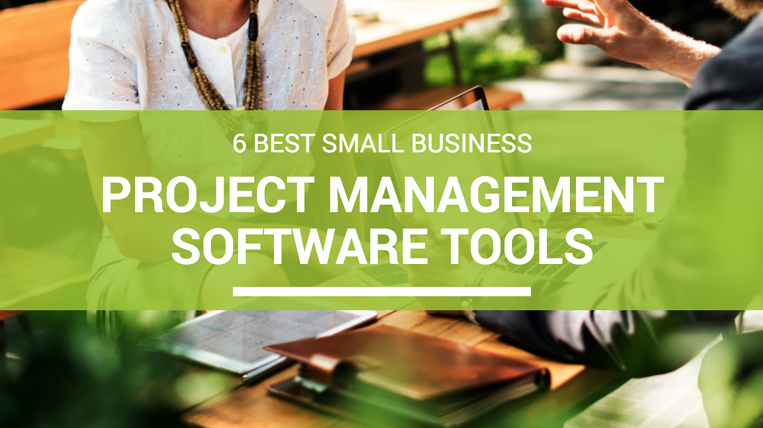 There are TONS of project management, task management and workflow management systems created for small businesses and even specifically for your industry. What small business project management software options are out there and how are they different? What features should you look for in your productivity software? 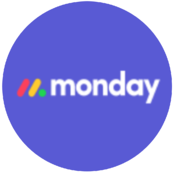 As a recent convert from Teamwork to Monday (formerly dapulse), we’ve done our research and want to share our findings with you! First let’s define some of the ways productivity software describe themselves. There are project management features, workflow management features, task management features and time tracking features. If you need a system that tracks and monitors everything from start date to end date, look for a tool with project management features. With these tools, you break your workload into projects. In our inbound marketing agency, we create projects by client. You can create yours based on internal projects in your marketing strategy like making ongoing website updates, planning your social media or developing your lead nurturing methods. This way you can see what tasks are outstanding, completed or in-progress for each project. Great project management tools have a clean user-interface so you can easily view your team's workload, how much time they’re spending on tasks, when and what deliverables are due and how all of the parts of the project work together as a whole. Also, you should be able to share files across users, even clients if you give them access. Don’t worry about getting it all setup. Many come with project templates based on your industry or client type. Instead of creating projects with one-off tasks like project management software, workflow management software helps you set up workflows for recurring tasks and processes your team follows on a regular basis. It separates new work and ongoing work so you can see what needs to be done, who will do it and when. What if you don’t have many projects, but rather many individual tasks that need to be accounted for? With task management, you assign individual tasks to specific people, with descriptions, attached files and deadlines. Task management is a tad more flexible but takes some time to determine how it will work best for your needs. Time tracking software is great for clients that bill hourly or are looking up their accountability and transparency in project management. Time tracking software allows you to accurately track how many hours, minutes and seconds you and your team are working on specific clients, projects and tasks so your billing can be more accurate. PLUS you can see what tasks are taking the most time, who is getting quicker results and what projects or tasks have the highest return on investment. Monday is organized by boards segmented by projects, clients or services. For our inbound marketing agency (and social media marketing division) we have a board for each client. Each board has pulses, aka tasks that can be grouped, ordered, assigned to individual users, tracked by progress, commented on, time tracked and more with custom fields. We chose Monday while it was still dapulse… and we still love it. We created our own templates based on the recurring monthly services we offer and add client-requested one-off tasks to keep track of our monthly efforts and ROI. We can archive tasks from previous months to keep our boards clean and reference completed tasks during monthly reporting. We love the transparency Monday has given our team. We can claim or assign tasks and monitor progress for every project. We highly recommend Monday to all small, medium and large businesses. Based on our research, project setup is quite simple. You can tag individual Wrike users for different tasks helping with delegation and collaboration. It’s flexible hierarchy of task organization, personal dashboards and lists make it easy to organize based on how you want to see your to-do list. BONUS: You can sync Wrike with your email, calendar and document sharing to consolidate how many applications you use in a day. 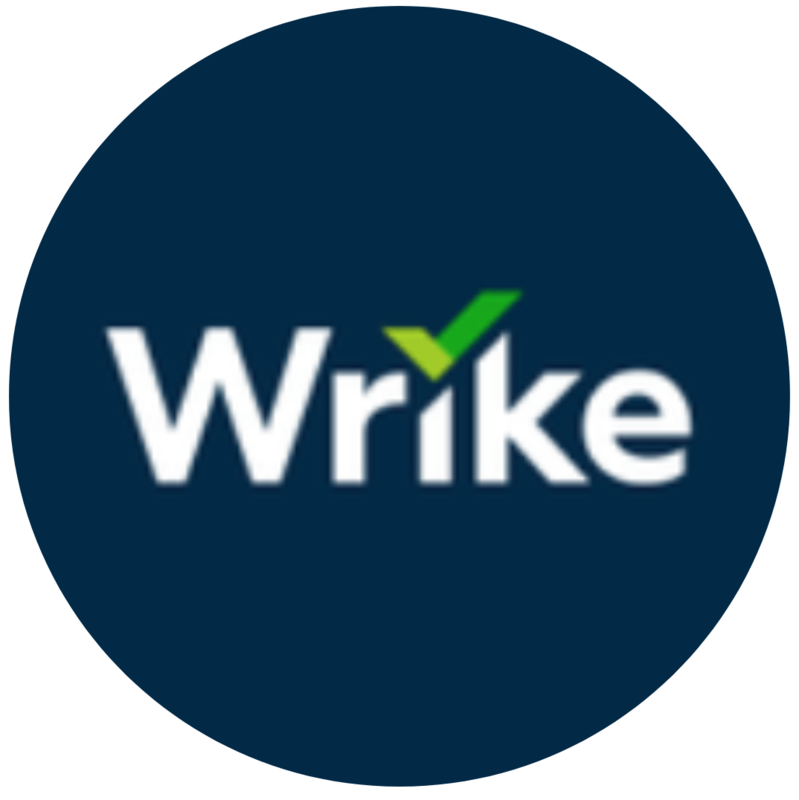 The time tracking coupled with the easy task assignment, collaboration and visual timelines makes Wrike a home run for small businesses. Plus you can test it out for free! Trello has one of the most easy-to-use user interfaces we’ve seen. You build your organization around boards, aka projects. Each board contains lists and cards, aka tasks with easy drag and drop functionality. There’s even a calendar view that syncs your tasks from every project you’re assigned to. 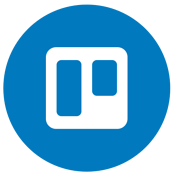 We recommend Trello to small businesses that need to get to-do lists and project calendars consolidated from all of the individual team members’ methods. It’s easy to use and really great to look at. Can we get an AMEN! for the drag and drop feature?! What’s our hangup? There is no time tracking capabilities currently. 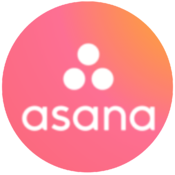 Asana is organized by workspaces, aka projects. Each workspace is made up of specific tasks that can be assigned to individual team members, with specific deadlines and progress tracking. This way your team can see what outstanding tasks are left to complete their projects and when you expect them to have it completed. 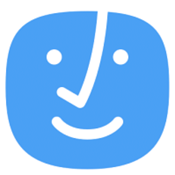 It’s totally customizable from information fields, tracking and reporting. We like how Asana visually breaks down large projects into more manageable chunks for your team. Also, the recurring task feature is pretty sweet for things you do every day, every week, every month, etc. However, collaboration isn’t built in. There is no chat feature and you cannot assign more than one person to any task. With ActiveCollab you can juggle multiple projects and individual tasks. For each project you manage, you can create task lists and include every other piece you need to complete it, including files, communication, time tracking and expenses. We suggest looking into ActiveColab for companies with overlapping teams and collaborative projects, as the name suggests. It allows you to invite other users, like clients, into your projects to work together. During our research, we noticed that sometimes the dashboard can be a bit busy - but test it out for yourself and let us know what you think! Zoho projects has account levels for companies of any size for unlimited users. The free account only manages one project, but it’s great for trying Zoho out. 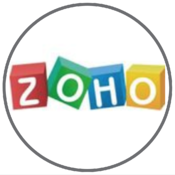 Users report that Zoho is straightforward, intuitive and responsive and that it is easy to set up projects, assign tasks and define milestones. For an added fee you can add on Zoho’s IssueTracker for managing bugs, issues or other on-off fixes. Learn more here. Interested in other ways to be more productive and support your business growth? Check out our checklist of 25 must-haves for a website that works hard for you. Maybe you'll find a few tasks you can add to your new software.